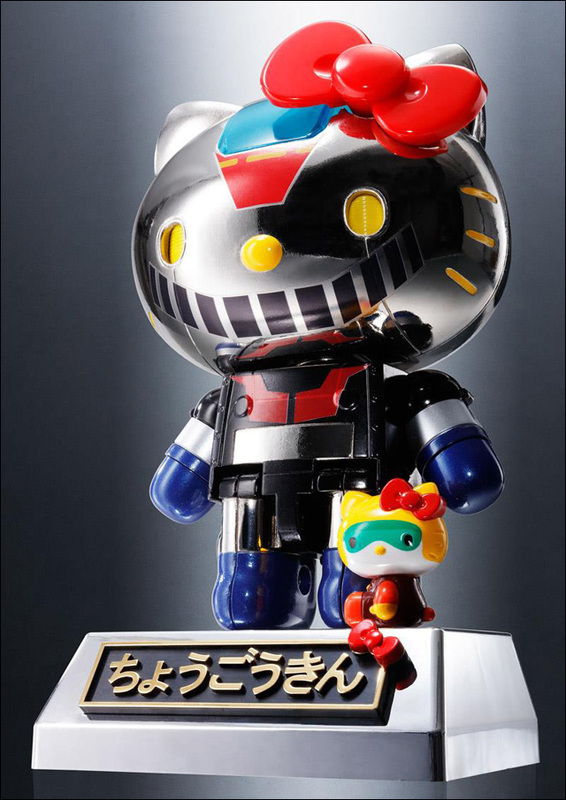 Two classic Japanese pop culture icons collide for an awesome action figure collaboration. 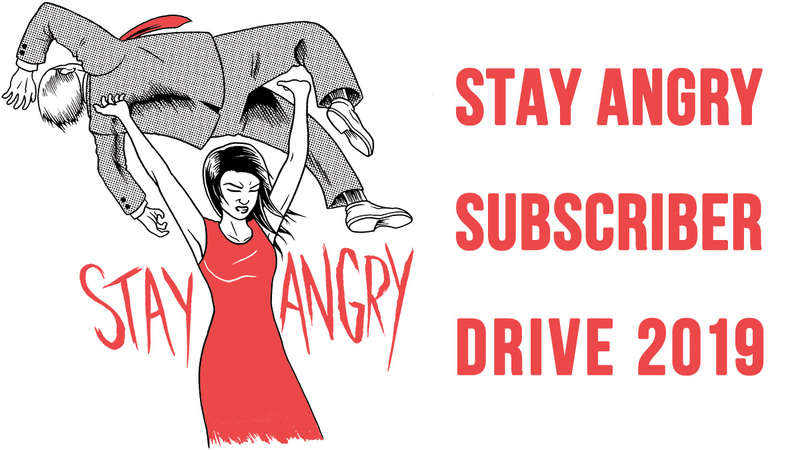 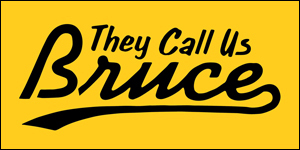 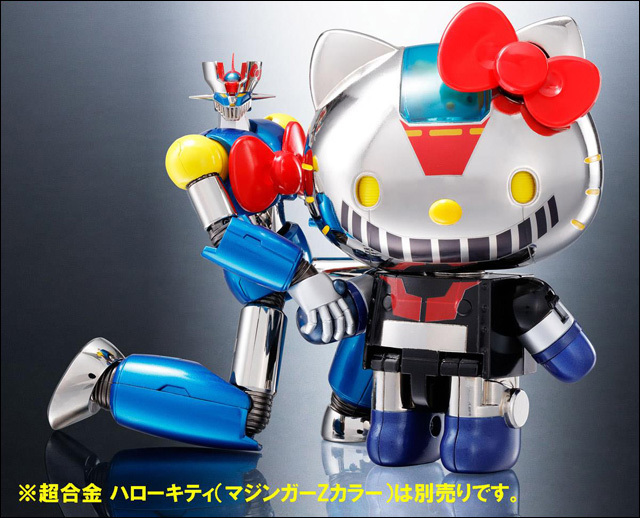 This is what happens two classic Japanese pop culture icons collide. 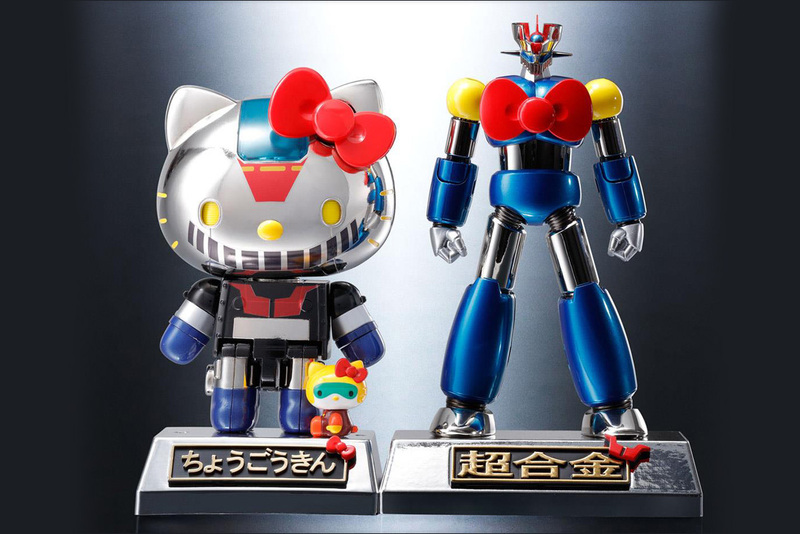 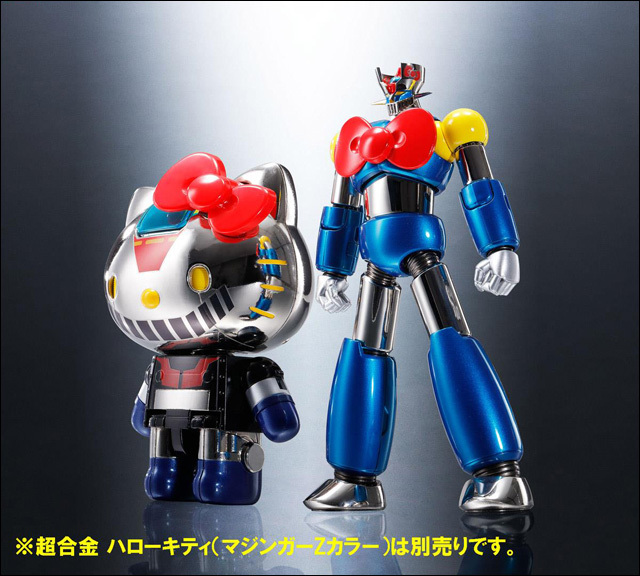 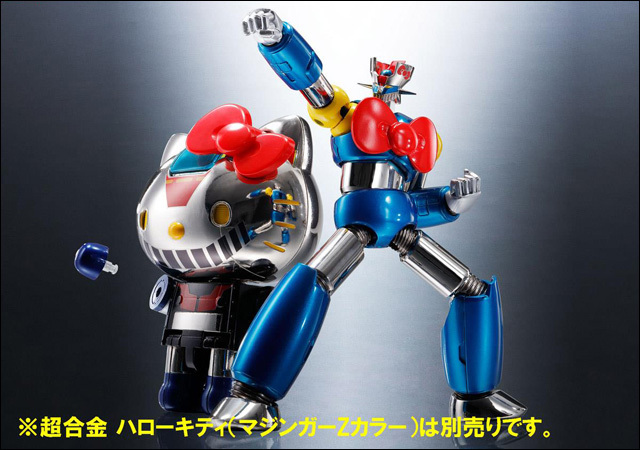 Bandai Tamashii Nations has created two incredible action figure collaborations combining, believe it or not, Hello Kitty and Mazinger Z. 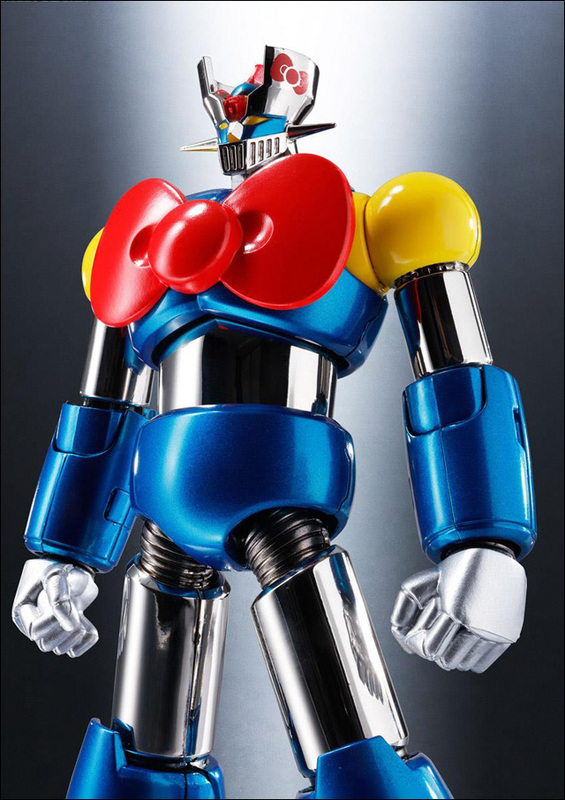 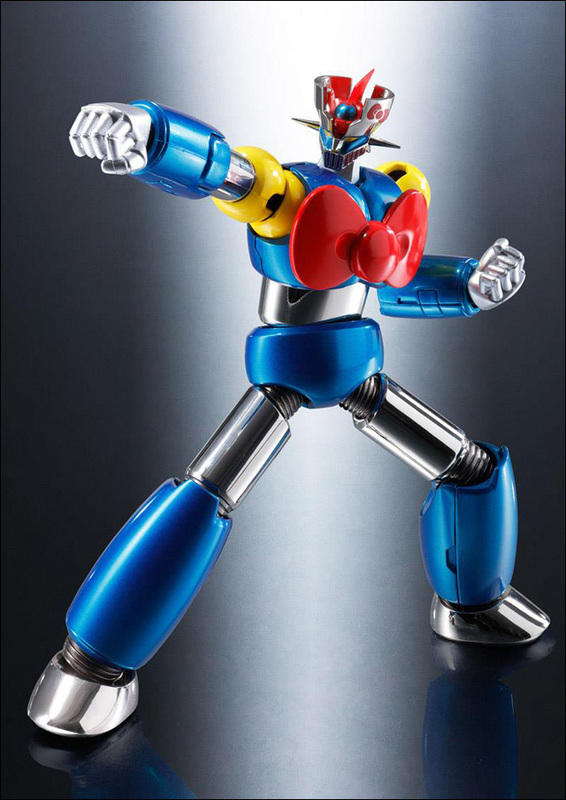 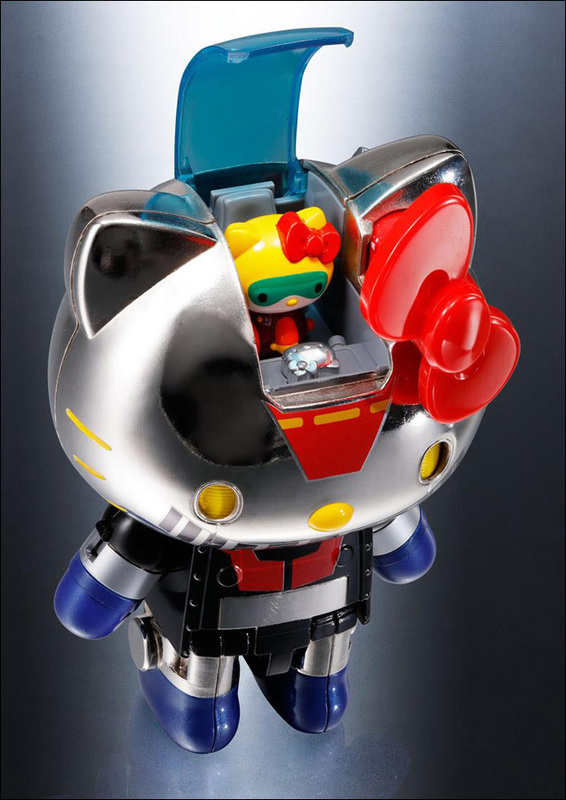 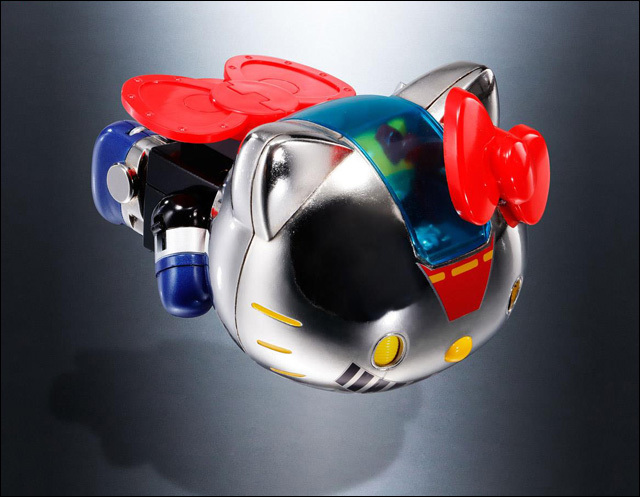 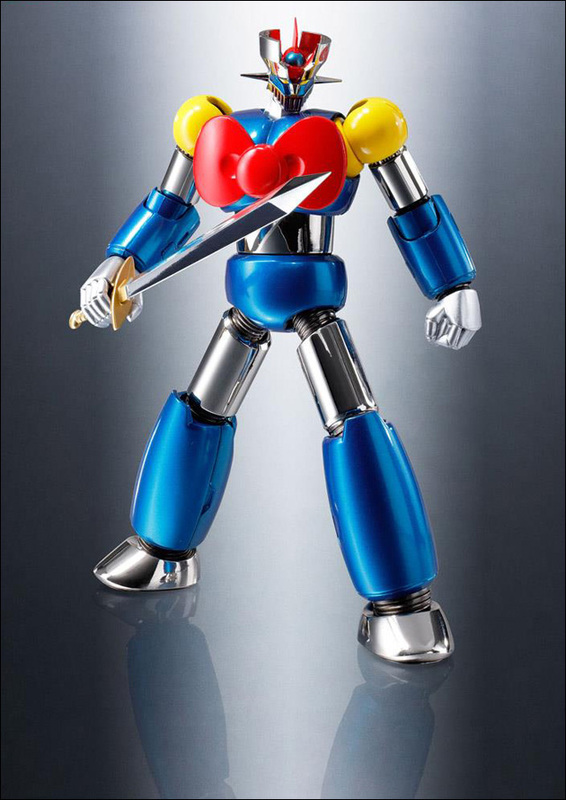 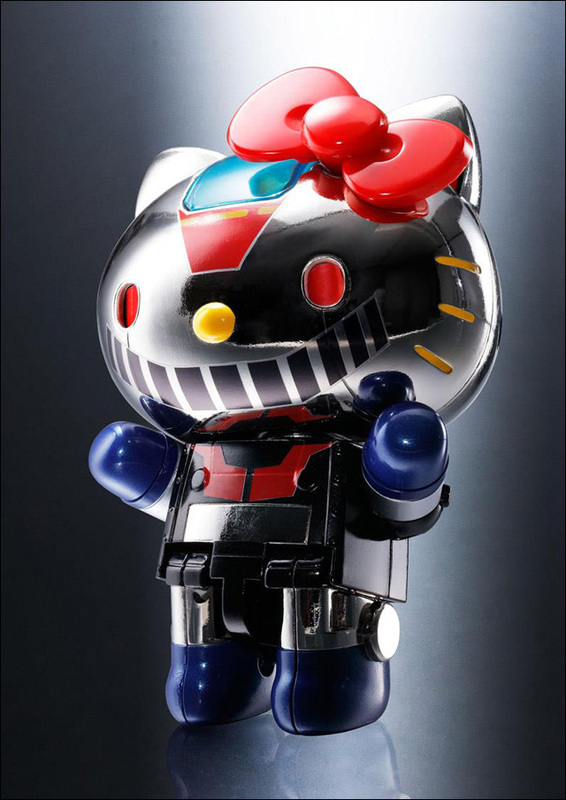 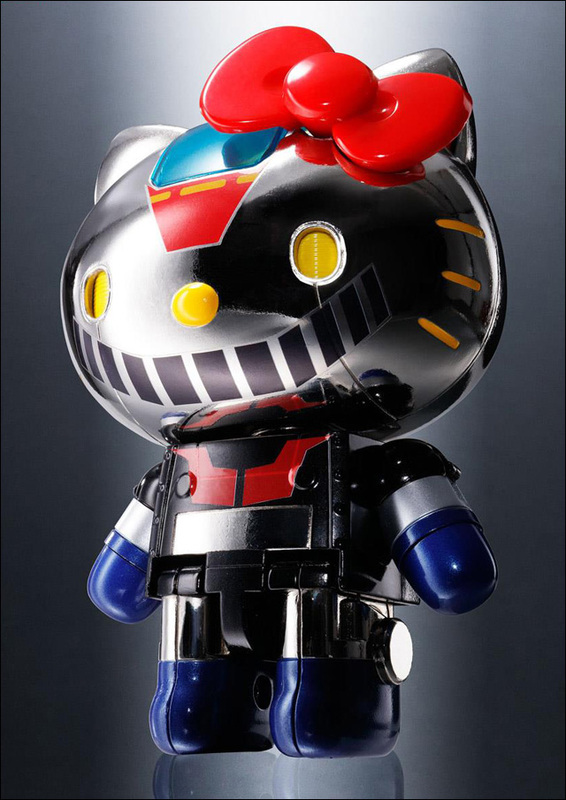 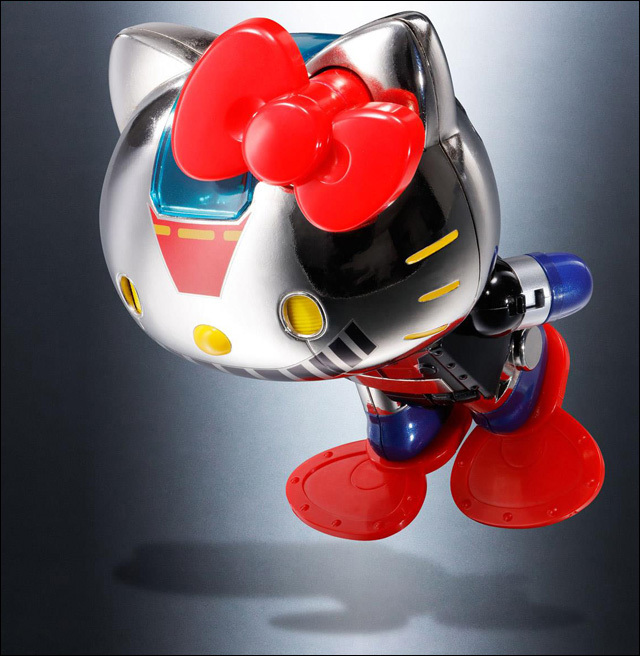 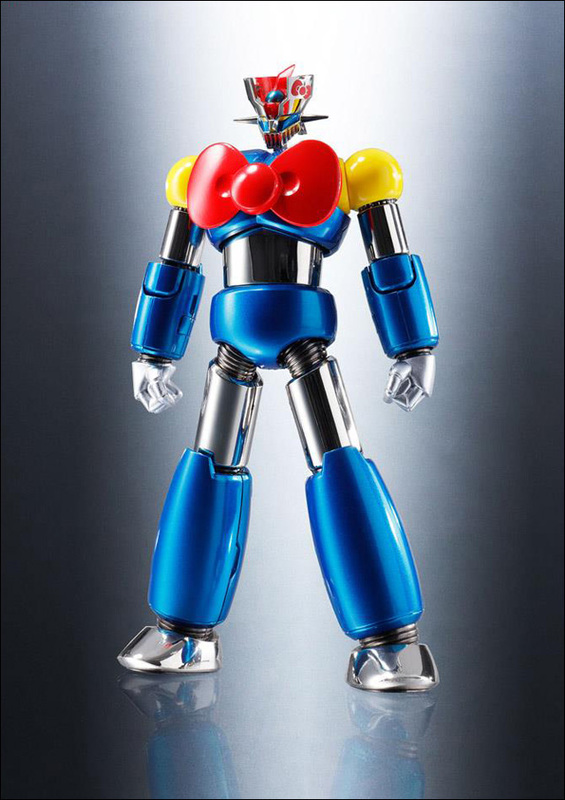 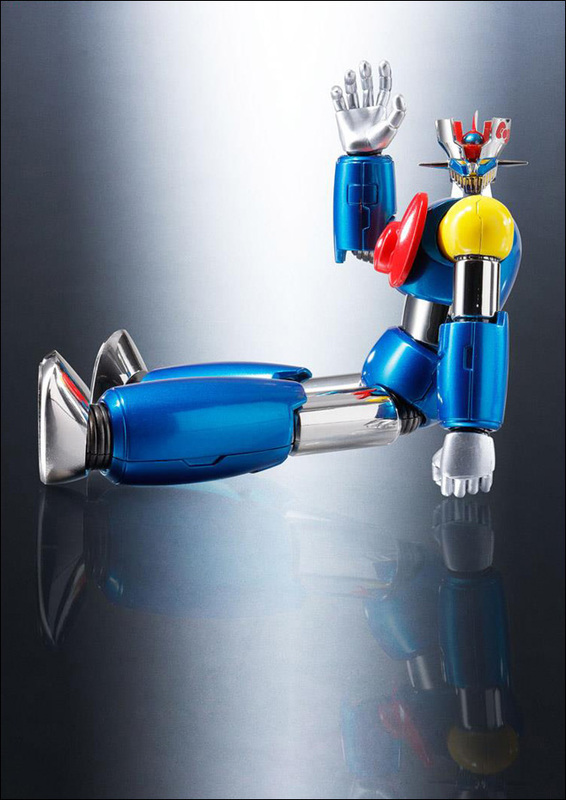 Standing approximately four-inches tall, the Hello Kitty Mazinger Z Color Chogokin Die-Cast Metal Action Figure is Hello Kitty rocking a retro Mazinger Z metallic look with a mini pilot Hello Kitty finished in Koji Kabuto colors. 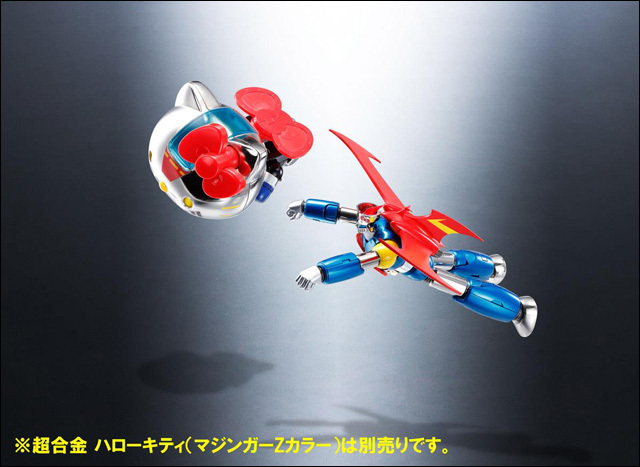 The set includes a special display case and underwater-mode parts. 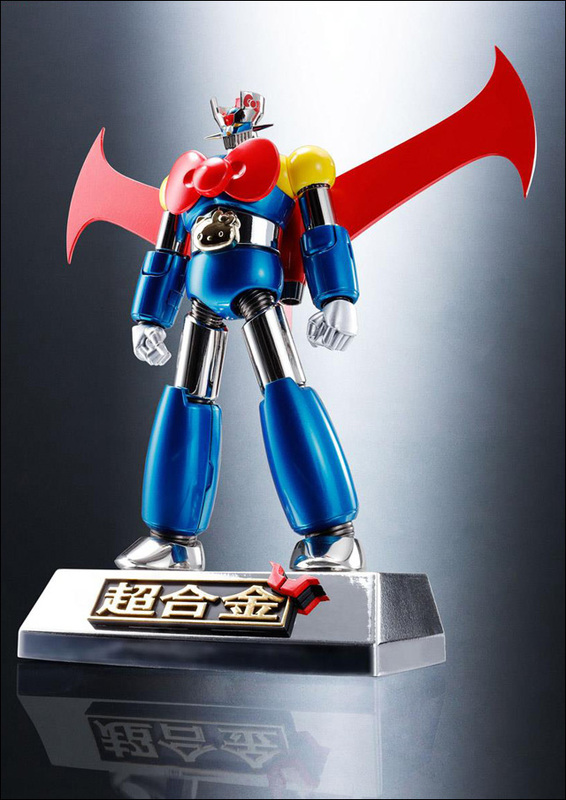 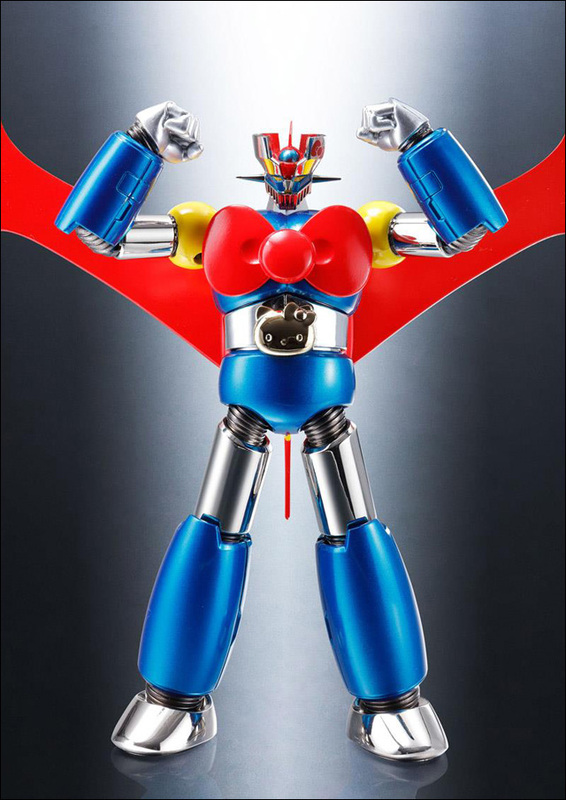 The Mazinger Z Chogokin Hello Kitty Color Version Die-Cast Metal Action Figure features Hello Kitty's iconic red ribbon where Mazinger Z's trademark chest piece usually rests. 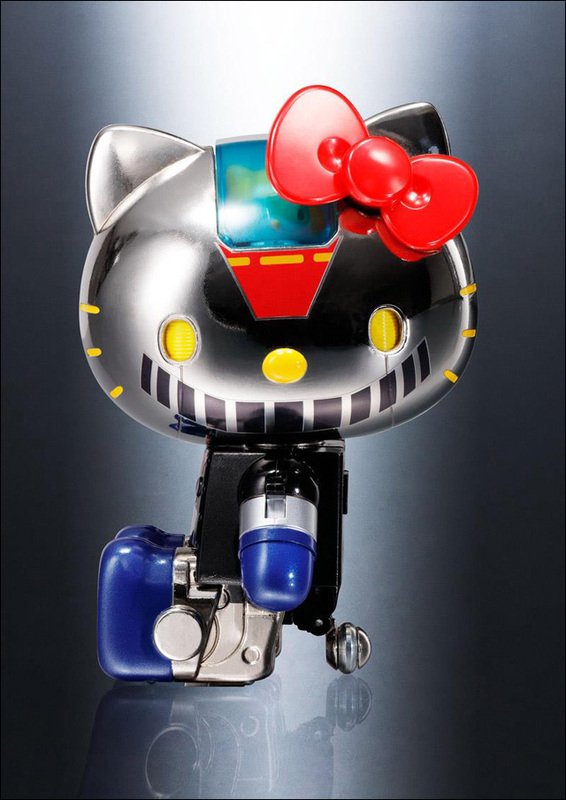 And the iconic giant robot's Jet Scrander belt has been reformed as Hello Kitty's face. 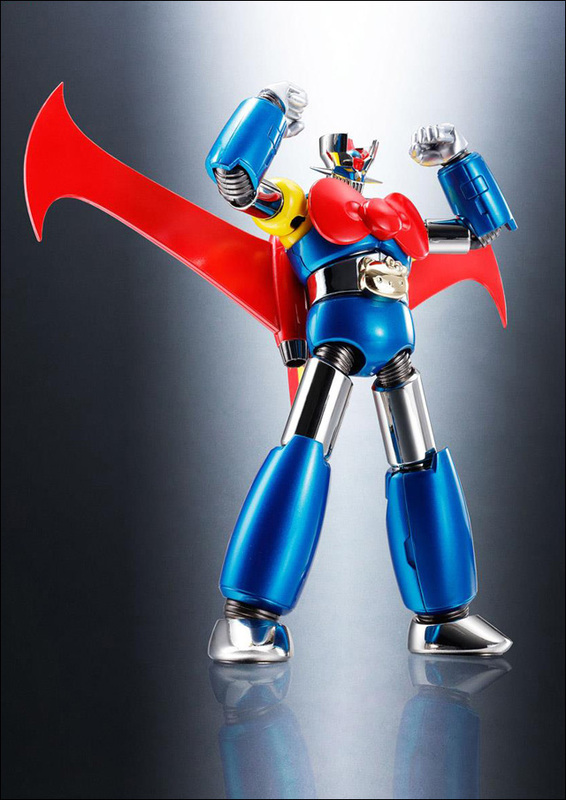 The figure includes a special display base, four interchangeable hands, Jet Scrander, Mazinger Blade and measures approximately 5 1/4-inches tall. 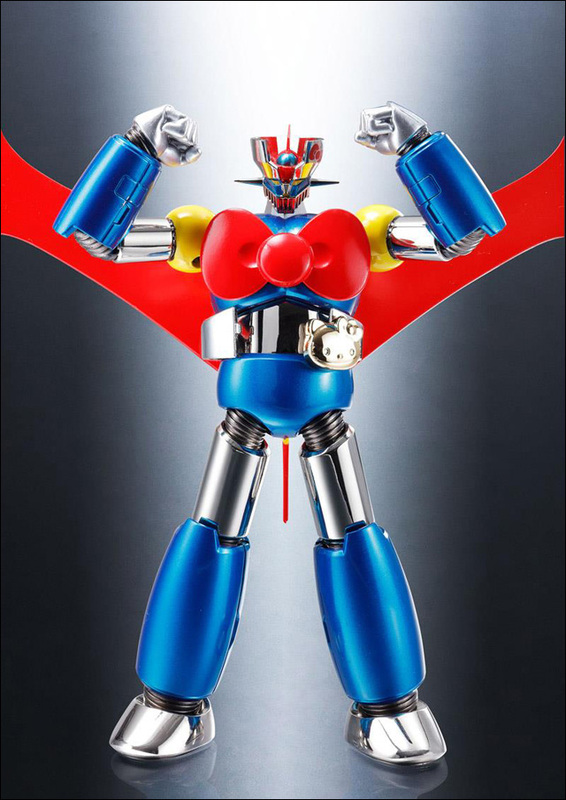 This is action figure mashup you never knew you needed.